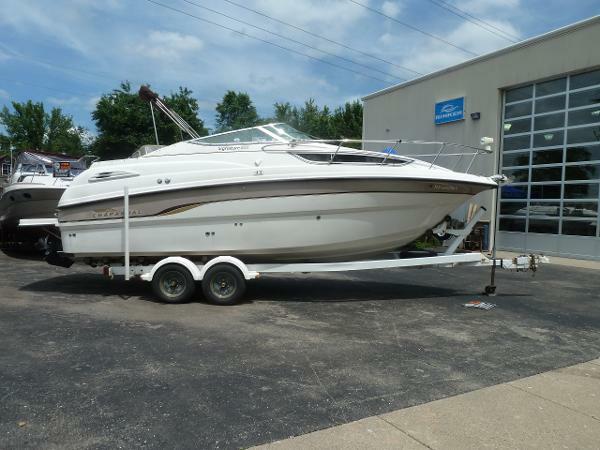 Very good looking 1999 Chaparral 260 Signature with Tandem Axle Trailer,Canvas Enclosure, GPS, Stereo, Extended Swim Platform, Transom Shower & Much More! 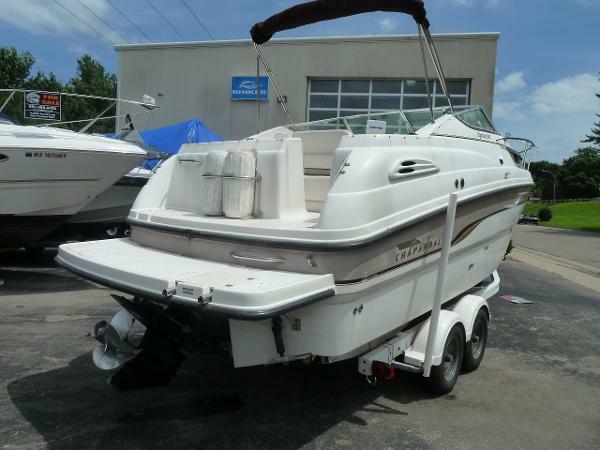 This boat has plenty of power with it's 5.7L, 250HP MerCruiser with Bravo 3, Motor was Rebuilt in 2017, has approximately 20 hrs on fresh motor! The cockpit is set up great for entertaining with a Large Back Bench seat that can fold away, rear facing Bench, a L Shape Seat across from the Drivers Bucket Seat. 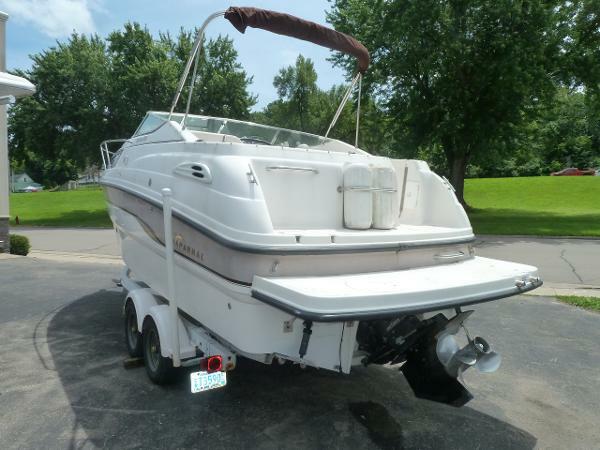 The dash is attractive and the walk through windshield gives easy access to the bow. The Cabin is sure to impress, with nice amenities and a very high end fit and finish.